Every bride loves a good wedding show. One that is informative, elegant and showcases the best in wedding related products and services. 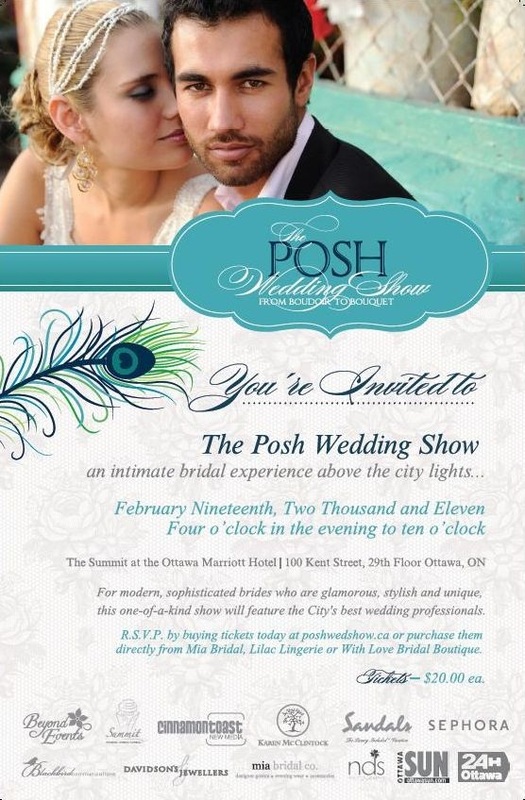 Mia Bridal Co. is pleased to be part of the fashion show for this event that is taking place on February 19th 2011 at the Summit in the Marriott Hotel. So sip champagne, mingle and connect with some very savvy bridal professionals. Here are the details, I hope to see all of YOU amazing brides there! I'm excited for this event! I'm giving away 2 tickets to the show on my blog! Can't wait to check out the Mia Bridal gowns!